When Henry Jocelyn Seymour, the 9th Marquess of Hertford, celebrated his 60th birthday on July 6, the British peer also marked two other notable 60th anniversaries. Ragley Hall, the Warwickshire stately home he inherited from his father in 1991, will have been open to the public for 60 years this summer, and the estate will be hosting one of his favourite events, The Game Fair, for its own 60th anniversary, from Friday 27 July to Sunday 29 July. Here, Lord Hertford explains why his family estate is the perfect place to be hosting the world’s biggest and best countryside festival. Your family history at Ragley dates back 1,000 years. How proud are you of its history? Extremely proud. So much so that it’s difficult to put into words. It’s fantastic that my family history is so well recorded. I grew up with several stories, but I’m still occasionally reminded of my forbearers’ extraordinary feats. How do you strike that balance between being sensitive to Ragley’s heritage but making it sustainable for the future too? I’m always aware of the history. But there has been a fundamental shift in the thinking that a family can occupy a large stately home without it being open to the public. Nowadays, the main focus is on the house being open in one form or another and the family cope with that. Generally, large stately homes like Ragley are reliant on the income they get from visitors who come to various events. This will be the fourth time that Ragley Hall has hosted The Game Fair. Why is this estate such a good fit for the countryside festival? We are in the middle of the country, so geographically we are perfectly situated. We are fortunate in having a large area of parkland around the house which The Game Fair naturally fits into. For visitors, the first impression you get is arriving into the car park. I always think if you can make that a good impression the rest follows from there. What is it about The Game Fair that makes it such an institution? It is important for these social events to be held. Working in the countryside nowadays can be a lonely business. The days when there were hundreds of farm workers have long since gone. Now, on an average farm you’ve probably only got the farm owner and his family. And the same is probably true in country sports. The Game Fair is an excuse to get out, meet people and celebrate what we do. Community spirit is important, whether it is on a national level or a local level. 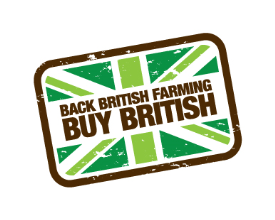 It is often seen as a platform for discussion about rural affairs, fieldsports issues and sustainable food. What topics need to be debated this year? Obviously, the big topic at the moment is Brexit and what that will mean. The other ongoing subject is fieldsports and cruelty to animals, whether perceived or real. I think a lot of cruelty to animals is more perceived than real. Therefore, country sports advocates need to put over their case clearly and articulately. The Game Fair is a celebration of fieldsports. Which field sports do you enjoy? I’m now in a wheelchair, but hunting was my main winter sport. I didn’t really shoot very often because I was generally on a horse. We do have a private family shoot on the estate. Although neither myself or my father shot very much, both my sons shoot, my agent shoots, and my park manager shoots. So it’s part of my life. How special is it for The Game Fair to be marking its 60th anniversary in the same year as Ragley Hall celebrates 60 years open to the public? The house opened during Easter in 1958 and I was born at the beginning of July, and The Game Fair is at the end of July. So it a very happy coincidence and I’m delighted that The Game Fair is coming back to Ragley Hall this year. I hope to be there all three days this year. I adore it. I’ve been to every one since 2009 and before that I used to go every second year. A 60th birthday is always special. How did you celebrate?